See who is the fastest chatter on your server! You can set commands to be executed to reward players for winning! 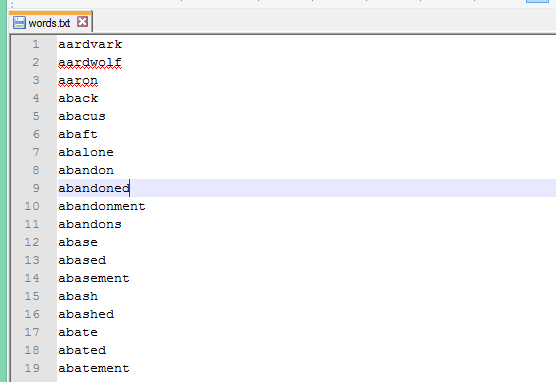 Words can be configured to be a random String of characters or pre defined words that you list in the config! 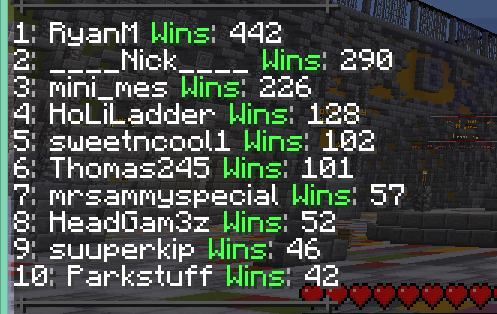 Optional win tracking through MySQL to allow you to save players wins and the top winners! Luisomar0369, chi27870, anemul and 24 others like this. This is a nice plugin that provides a fun word scramble game for your players to play! It could be better documented, but otherwise it's not hard to get it up and running. Works fine, as expected. Would be good to have probability rewards. I've been using it for a looooooong time. 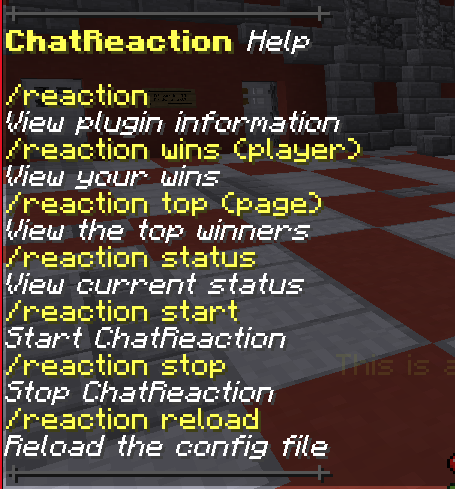 please add mesage for edit "/reaction wins " "/reaction top" /reaction wins Name". The plugin itself is quite nice and very customisable. However don't expect any kind of support at all. I have been trying for over 2 months to get a simple bug fixed and the developer does not care at all, ignoring me at every turn. So by all means use this if you aren't bothered with the bug, but I wouldn't personally recommend it. It's a very good plugin. How do I disable typing the words though? I only want scramble. I don't want the type the random word thing.